Pregnancy: I’m Almost Due! What’s in my Hospital Bag? So, we started the beautiful journey of pregnancy! I’m going to do a blog on my new favorite vitamins, including the vitamins that I use for Logan and our baby girl when she gets here. I wanted to share with you all the things that I’m packing in my bag! Here’s my thoughts on the bags! I came across this GORGEOUS personalized faux leather camel bag on Instagram. 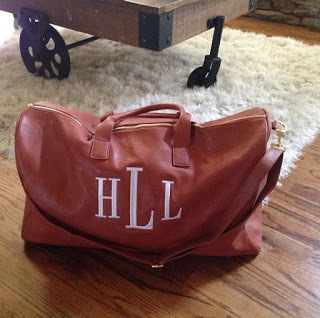 It’s from Our Monogram Boutique now, the only thing that I realized in using it is that if you stuff it TOO full, the zipper breaks. 🙁 So sadly, I can’t use it unless I get the zipper fixed! Nonetheless, it’s a gorgeous bag that I’m definitely going to get fixed in the future AND not stuff it so full. 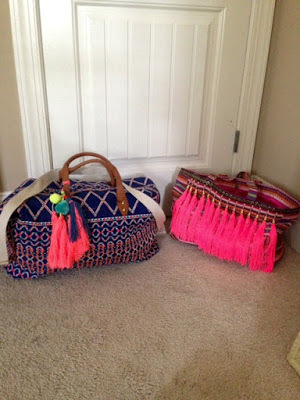 So, instead I just happened to be at Target the other day and I came across these gorgeous Morena Weekender Tassle bags! From TARGET! For the price, I had to do it! I’m such a fan of tassels in general so I was pretty excited! I couldn’t find the blue one on Targets website so you may be able to find it in your local stores! Next, I will add baby girls clothes to her diaper bag! 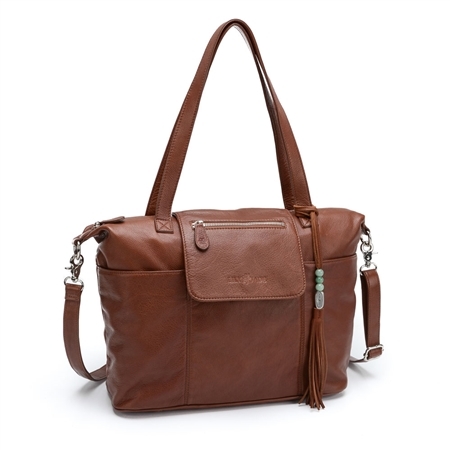 I’m using THIS beautiful Lily Jade Diaper Bag! I love that with this diaper bag, that I can wear it as a backpack as well and when the kiddos are older, I can use it as a purse! It’s so convenient as a mama of 2! Ok, now that we have the bags figured out, let’s discuss the nightgowns! When I gave birth to Logan, I wore this hospital gown and my thought was.. how many other women have wore this same gown in labor? The thought of that made my stomach a little queasy so I decided that if the Lord opens up my womb again, then I am wearing my own gown! As I searched around on Etsy, I came across this PERFECT gown! 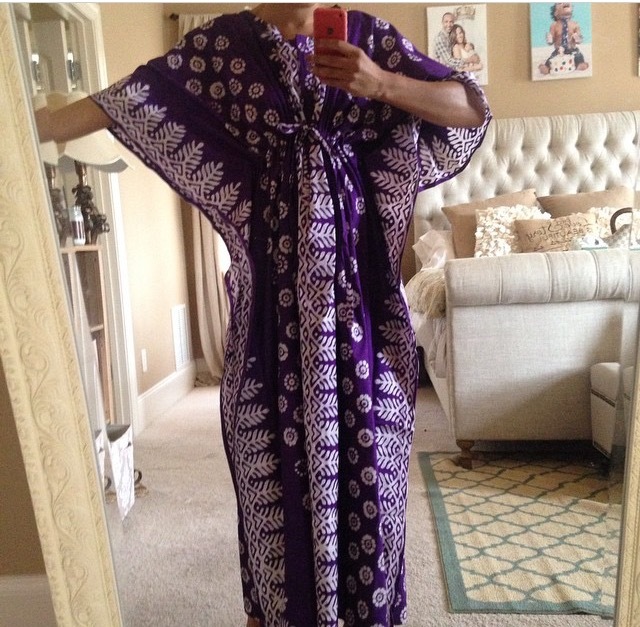 “A Different Weave” Etsy Store, be sure to tell her that Heather Lindsey sent you! 🙂 She will take care of you! Up next, I am a breastfeeding mama! I LOVE nursing and I actually miss it! I nursed Logan for 2 years and I had to stop after the first trimester of this pregnancy because my doctor said that it could put me into pre-term labor. 🙁 It was hard to break him from nursing but I eased out of it for about a month and a half so it wasn’t sudden. Anyways, I am going to start pumping while I’m in the hospital. 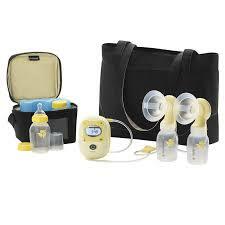 I SWEAR by & totally LOVE my Medela Freestyle Hands-Free Double Electric Breast Pump. I know that some breastfeeding classes don’t encourage pumping right away, well– It worked for me with Logan because he was 10 pounds & 1 ounce and he ate a TON! I needed my milk to come in quicker so I pumped away and I didn’t want to supplement with formula. I figured, the sooner the better and it worked out in my favor! At times, it can take your milk up to a week to come in and it took my milk about 4 days to come in! So, I’m packing my pump and the accessories shown here! I got the pump from Babies R Us on my registry when I was pregnant with Logan and I’m thankful to continue to get usage out of it! Up next, here’s a few essentials for you mama to make sure that your stay is comfortable! 3. Your own pillows! I’m bringing my Snoogle pillow because it’s most comfortable and as a pregnant woman, I cannot sleep without it! 4. Pajamas that button down. So, I do have my gowns but just in case, I grabbed a couple pair of PJ’s that button down so I can do skin to skin or nurse as needed. 5. My makeup & hair supplies. Hey, there’s nothing like some concealer, bronzer, and some eye liner to brighten up your face! I’m a girly girl and PLUS, we are doing a lifestyle shoot while at the hospital so I want to look my best. 6. A take home out fit for you! I’m packing two outfits– one dress and one pair of shorts and a flowy top! Mamas, keep in mind that you are still going to have a stomach a couple days after you give birth so you don’t want anything that is too tight. In my case, with Logan I had to get a C-section so I didn’t want anything on that area when I left the hospital. 9. Hair ties & bobby pins! It’s going to be important to pull that hair away from your face! 14. My Boppy Pillow for nursing! I didn’t have it with Logan and I had to use a ton of the hospital pillows which was no fun! 19. A fluffy towel! Hotel towels aren’t the softest and post baby, everything is sensitive! 23. A roll of toilet paper! Hey, it’s better than the sandpaper towel provided! 24. Lots of bottled water! I know the hospital doesn’t provide alkaline water, so I’m bringing my own! 25. A restaurant list of nearby restaurants. Hey, I’m a vegetarian and it’s hard for me to find food, so I want to make sure that I know the options nearby! Upon arrival, we will ask the nurse to wheel baby girl out into the hallway and when Logan walks in– it will just be me and my husband. So, we will love on him, give him sweets and just spend time with him. Then, after about 10 minutes, baby girl will come back in the room and we will introduce Logan to his new sister. 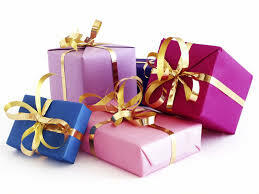 Each day we are in the hospital, we will do a gift exchange from baby girl to Logan. For Logan, he loves superheros so we got him a few of his favorite superheros! For baby girl, we got her a few teething and little noise makers that can go on her carseat! Ok, so yes, I admit, I packed a lot. But I like to be comfortable! If I’m going to be somewhere for a couple days (natural birth) or 4 days with a c-section, I like to have all of my areas covered! Feel free to comment and leave anything else that you found helpful! Wow, lots of great info! No babies for me yet but I'm going to screenshot this for down the road. Love the gift exchange that Logan and baby girl are going to do. Super sweet and thoughtful of you guys! When your sister in love told you, you had a bump did you not realize you had missed your cycle/s? Thank you so much for sharing your list! I am definitely going to copy this down for when I deliver in December. One of my good friends just gave birth a few weeks ago, and the one thing her baby girl needed was hand mittens. Within 2 hours of birth, she had already scratched her face. Thank you again for sharing! Awesome! Praying for a peaceful & labor/delivery! A couple things that really helped me last Saturday as I labored were a spray bottle & lavender oil! I labored in a warm tub and it can get pretty hot so my nurse used the spray bottle(with cool water inside) on my neck & shoulders. 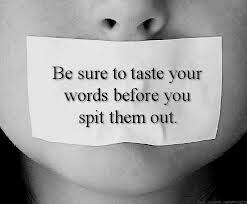 It helped a ton! And if you're laboring naturally, I assume you will get hot. Also, lavender oil! I had some back labor so my husband applied counter pressure while rubbing lavender oil on my back. It also helped a ton!! So helpful! 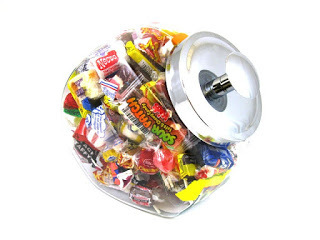 As a nurse myself, I LOVE the candy bowl idea :). So kind of you. Praying for a smooth labor and a beautiful experience with BGL?God bless!! 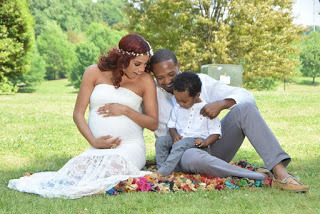 Since you had a c section with your first child are you going to have this child natural? I wanted to know bc I had a c section previously and wanted my next child to be delivered naturally if all is well. I know some doctors like you to have another c section. My favourite portion is the exchange of gifts between Logan and the sister, hence this way he begins to accept and welcome the sister from the word go. This is awesome. I am surprised you got pregnant while breastfeeding at all. Many times women who breastfeed do not get pregnant until they they stop breastfeeding their children. Congrats. I bet your little girl will be such a doll. Candles can cause explosions in hospital rooms because of the emergency oxygen hook ups – maybe a scented room spray instead ? Cant wait to see pics of the family of 4! I think everyone who knows of you and your family is extremely excited about and anticipating the birth of BGL!!! Cant wait to see her. Praying for a safe delivery. Congrats on the new addition, Heather! Ahhh! I definitely needed to read this. We have a surprise baby on the way. 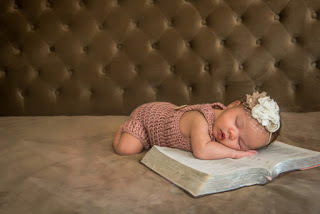 Everything was planned with the first baby, and we were planning to start trying for another baby next year but God had other plans. I thought it was bad timing and began to stress, but God's timing is never bad timing. I've accepted it since then and your post was additional confirmation. Thanks for sharing! 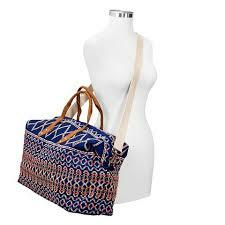 The bag SIMILAR to the blue one is : http://www.target.com/p/women-s-embroidered-geometric-print-weekender-handbag-blue/-/A-16845942#prodSlot=_2_29.